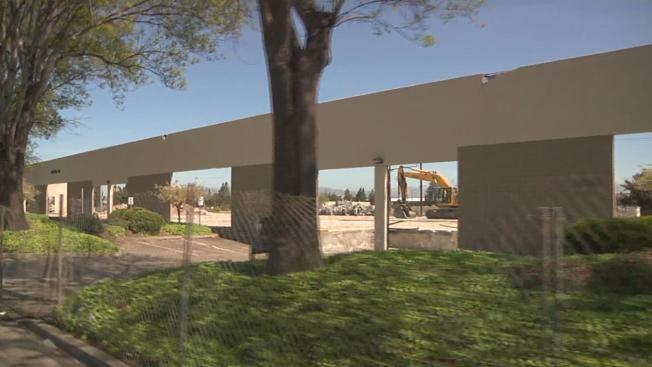 Crews have broken ground on a massive apartment complex development in Santa Clara just as a similar project nearby sits in limbo due to legal battle with neighboring San Jose. The Lawrence Station project along Central Expressway in Santa Clara is expected to look like a city within a city. "We’re going to create a walkable community and one that will have access to transit as well," said Ruth Shikada, assistant city manager. Shikada said about a thousand housing units are being built on the 27-acre property. Ten percent of those units will be reserved for low-income housing. Some residents welcome any projects that have the potential to bring rent prices down. "People need a place to live and a safe place," resident Beau Burkle said. Others fear the more apartments and retail space will bring more traffic. "That would make my horrible commute even worse," Rita Elizarrey said. While construction crews move forward on the Lawrence Station project, a massive office and retail project across the street from Levi’s Stadium is on hold pending litigation with the city of San Jose. San Jose argues the 200-acre Cityplace project would put a stain on neighboring communities. On Wednesday, a San Jose spokesperson stopped short of publicly supporting the Lawrence Station apartment complex but did release a statement, saying in part, "We certainly support efforts by our neighboring cities to address the regional need to achieve a better long–term balance of jobs and housing." Lawrence Station will finish in phases and is expected to be fully completed by 2020.